Cake-in-a-jar may be overtaking the cupcake craze. These individual cakes are baked and assembled in a jar where they can be easily transported. 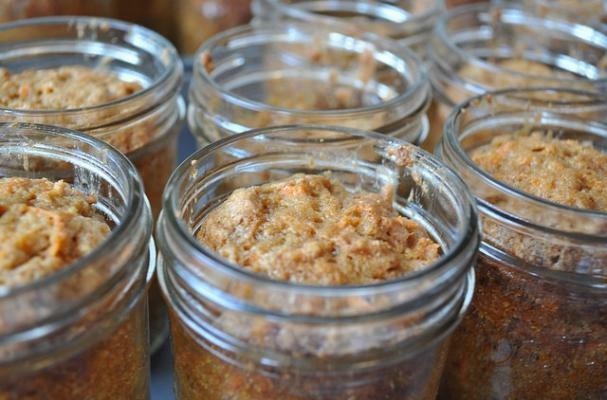 Make one of these cake-in-a-jar recipes to take to your next barbecue, picnic, or potluck. I am sure they will be a hit! This yogurt cake is a light and slightly sweet and topped with strawberries and whipped cream. Red velvet cake is layered with sweet cream cheese frosting for a delicious Southern dessert. These portable cheesecakes are simple and decadent. This cake is perfect for any citrus lover. There is no fire required for this classic camping treat.